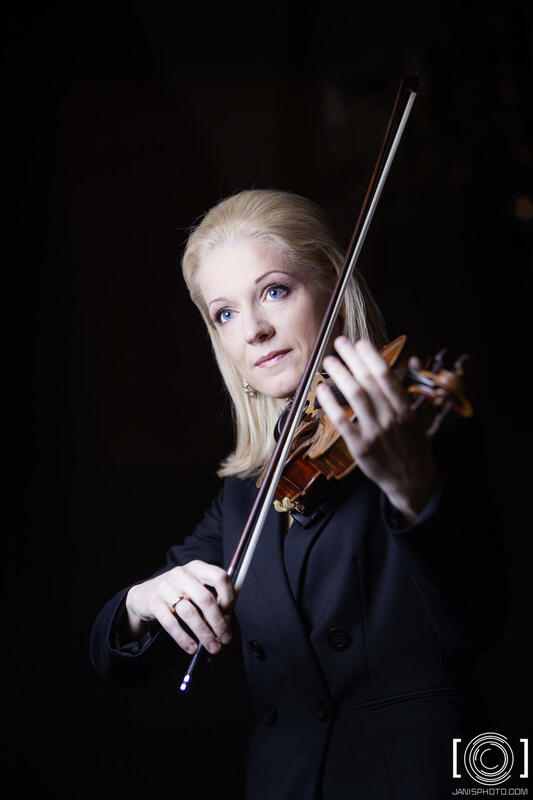 Eva has been a member of Latvian Philharmonic Chamber Orchestra, however, in 1997, when Gidon Kremer announced an audition for a new chamber orchestra, Eva auditioned and since then was the first violin of Kremerata Baltica for 15 years until 2012. She has performed with Kremerata Baltica almost everywhere in the world, many times as a soloist and as a duo partner with Gidon Kremer. The CD "After Mozart" with Eva being a soloist received a Grammy award. Eva has performed as a soloist with virtually all orchestras in Latvia, she records for Latvian Radio on a regular basis and founded a string quartet named „Euphonia” together with her colleagues from Kremerata in 2004. They received the highest award in Latvia in the field of classical music - The Great Music Award (Lielā Mūzikas balva) (2006). Eva has been invited to perform as a guest-leader of Bergen Philharmonic Orchestra, conductor Roman Kofman personally invited her to lead Kremerata Baltica and Kiev Chamber Orchestra on a project they made together. She has been the leader of similar projects involving Kremerata and other chamber orchestras like Moscow Soloists, Amsterdam Sinfonietta, Basler Chamber Orchestra, Camerata Bern, Suedwestdeutsche Philharmonie Konstanz, and she also led Sinfonietta Basel on their Japan collaboration tour with Theater Basel performing Mozart's The Marriage of Figaro in 2013. Eva is regularly playing with The Russian Virtuosi of Europe led by the professor of the Royal Academy of London – violinist Yuri Zhislin. Recently Eva has been asked to lead the orchestra for the world famous conducting course led by Maestro Paavo Jarvi in Tallinn, Estonia. In the 2013/2014 season Eva performed the Latvian premieres of Magnus Lindberg’s Violin Concerto and Kurt Weill’s Violin Concerto as a soloist in her native city Riga, Latvia. She also gave the first performance in Latvia of Sir John Tavener's The Ikon of Eros for solo violin and soprano with Latvian National Symphony Orchestra. 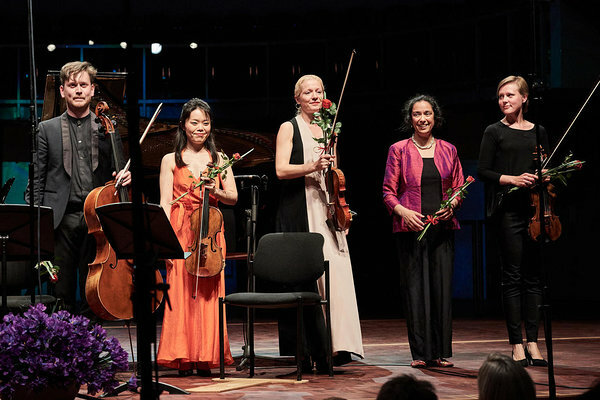 Upcoming performances this year include Mozart's Sinfonia Concertante with the Kremerata Baltica during the festival Gidon Kremer has founded in Latvia, Dzintari, recital and a Beethoven Violin Concerto in Stadthalle Erlangen, Germany. Eva is invited for the 4th time to take part in Paavo Jarvi's Estonian Festival Orchestra in Pärnu, Estonia, to perform chamber music and teach as well. Concerts played with Evas Latvian collegues residing in London in Great Britain and Ireland representing Latvia to European Parliament have grown into an established piano trio with the LPO cello concert master Latvian cellist Kristina Blaumane and pianist Reinis Zarins. 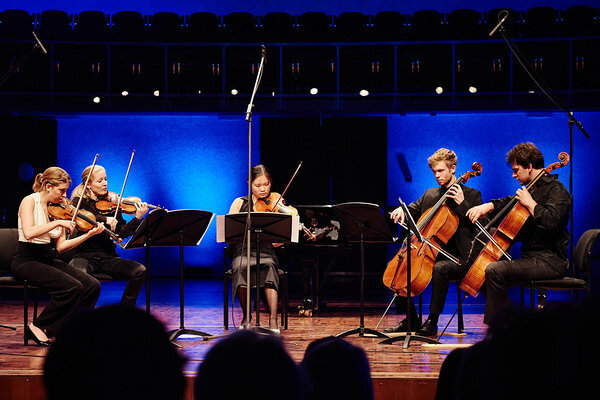 Upcoming performances recently included the newly-established trio’s presentation at the world famous composers’ Peteris Vasks chamber music festival in Riga and a concert in Cesis, Latvia, where trio presented themselves under a new name- Trio Palladio. In the spring of 2016 Latvian National Symphony orchestra provided 3 presentation concerts in all three capitals of Baltic states for the first time – Eva played L. van Beethoven's Violin Concerto under the baton of the orchestra’s chief conductor Andris Poga. In March 2017 Eva was honoured to receive the Great Music Award of Latvia.